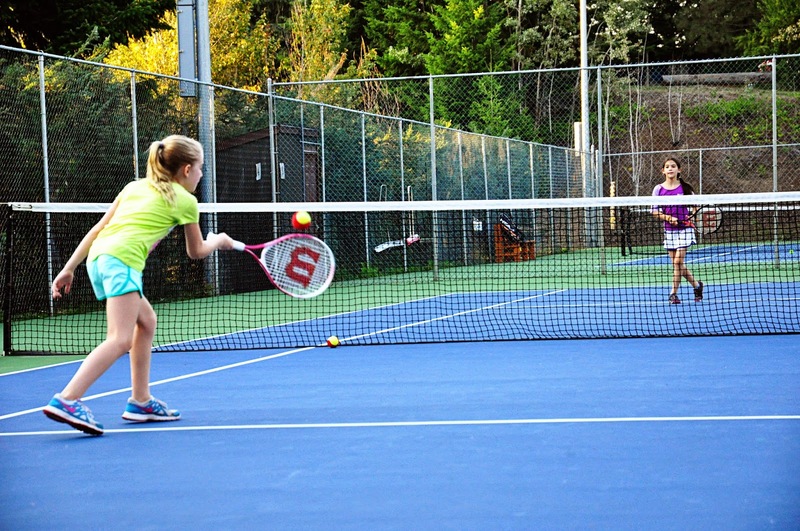 Sophie was registered for tennis lessons this summer, but unfortunately they were cancelled at the last minute. Not wanting to miss an opportunity to have her play, I contacted the mom of one of her school mates - the mom is the President of the local tennis club. 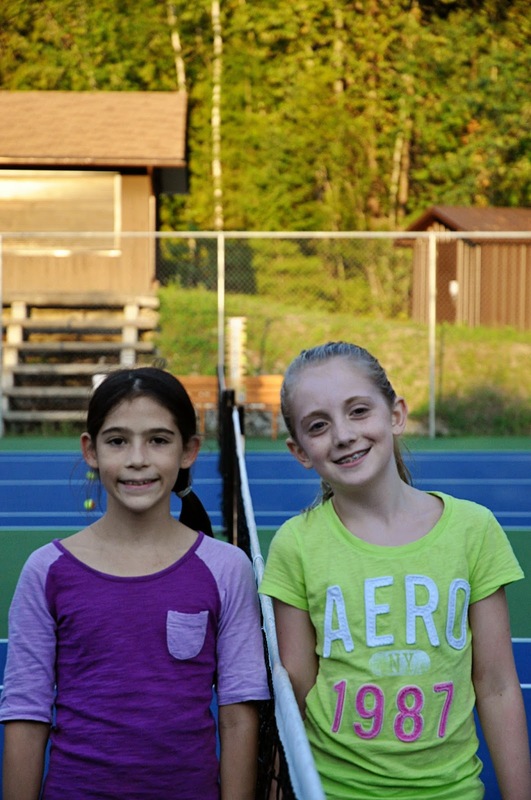 So, we arranged a tennis date for the girls. I took Fynn along too and he was provided with a small kids' racket. The kids had a ball (I had fun too) hitting balls back and forth.